The Japanese have long valued Sake, for its taste, medicinal use and even as a beauty product. For at least 2000 years, Sake has occupied a special place within Japanese culture. I have often tried to promote the benefits of drinking Sake and recently learned about a historical list of the "Ten Merits of Sake." This was a fascinating list of the benefits of Sake and I wanted to share it with my readers, to give you more reason why you should partake of this wondrous beverage. This list was provided in a kyōgen play called Mochisake which was written during the Muromachi period (1338-1573 AD). Kyōgen is a form of traditional comic theater, often including slapstick and satire, and the plays are usually short, containing only two or three roles. They are meant to be easy to understand, intended to make people laugh, and there are over 250 plays in the official repertoire. Makes me think of a Three Stooges episode. Mochisake, which can roughly be translated as Rice Cake & Sake, is a play about a couple farmers who each are traveling to the city to pay their back taxes, which they had been unable to pay because of a terrible snow storm. Each of the farmers is also carrying a special item which they hope might cause the tax collector to be easy on them. Kind of a bribe. One of the farmers has some kagami mochi, mirror rice cake, which looks like two oval mochi atop each other. The other farmer has some kikuzake, sake flavored with chrysanthemum petals. The farmers do not know each other but meet en route and end up talking with each other, discussing their mutual problem. When they finally reach the city, they go before the tax collector, explain about the blizzard, and present their mochi and sake. The tax collector is in an excellent mood and he forgives them both. In fact, they end up celebrating together, sharing the mochi and sake as well as singing and dancing. 1) Sake can be better for your health than any medicine. 2) Sake will enable you to live longer. 3) Sake will recover you from fatigue and weariness. 4) Sake will drive gloom away and cheer you up. 5) You can make friends with anyone over a drink of sake. 6) Sake will create the atmosphere where everyone can express their opinions frankly (even to their superiors or seniors). 7) Sake is a good friend of those who live alone. 8) Sake will make you feel warm to endure cold weather. 9) Sake can serve as a versatile but nourishing meal during a trip. 10) Sake will be a great gift when you visit friends. This is a great list, though one could make the case that it could apply to wine as well. It is indicative though of the deep love the Japanese possess for Sake, of how deeply it is rooted in their culture and history. In addition, Sake is not seen as a drink for the elite, as some pretentious, hoity toity alcohol, which is a problem that sometimes plagues wine. Sake is a drink for everyone, of whatever social status, of whatever profession. It pleases both peasant and Emperor. As the holiday season approaches, remember #10, that Sake makes a great gift. · The Hot Brown Sandwich: a regional southern favorite reconfigured for diners south of Boston. Stacked with roasted turkey, aged cheddar, bacon and tomato. 2) Celebrate New Year’s Eve on Monday, December 31 from 9pm-2:30am, as The Beehive hosts its 6th annual New Year’s Eve gala celebration. The Beehive’s, “Discothèque Burlesque New Year's Eve 2013” is an evening of bohemian decadence and eccentric fun. Guests will explore their senses as they take in the wonders of sultry Parisian burlesque performances (by NYC’s hotties Francine “The Lucid Dream” & Essence Revealed) and dance to the live powerhouse 60’s pop and soul sounds of Amy Lynn & The Gun Show. Throughout the evening Executive Chef Rebecca Newell will feature a delectable buffet of hors d’oeuvres and desserts, all served in a cocktail setting. To top it all off, guests can toast the evening with one of The Beehive’s signature cocktails from the evening’s sponsors including Hennessy Cognac, Milagro Tequila and Svedka Vodka, as well as Domaine Chanson wine and Moët & Chandon champagne. Cost of the event is $115 per person with food buffet, or $75 per person without buffet. Tax and beverages not included. Non-refundable without 24 hour advance notice. Both ticket options include admission and entertainment. There is a cash bar all evening. Tickets/reservations are available by calling 617-423-0069. 3) Meet two-time James Beard Award-winning authors Karen Page and Andrew Dornenburg as they make their first public appearance in Boston in more than a decade. On December 11, from 5:15pm-6:45pm, they'll be hosted for a reception at The Butcher Shop, where they'll be signing copies of their books The Flavor Bible, What To Drink With What You Eat, and The Food Lover's Guide To Wine. I own all three of these books and think they are excellent reference works which all food and wine lovers should read. They are very informative and comprehensive. Enjoy complimentary refreshments and meet the couple, former Bostonians who married at Biba in 1990 and now live n New York City. Page earned her master's degree from Harvard, while Dornenburg got his start cooking with Chris Schlesinger at the East Coast Grill and with Lydia Shire at Biba. Their other books include Becoming A Chef, Culinary Artistry, Dining Out, Chef's Night Out, and The New American Chef. After this reception, at 7pm, they will be conducting a Cookbook Class at Stir ($165 per person) to prepare some of their favorite flavor combinations and beverage pairings. Why is Pinotage still such a divisive grape? In the past, there might have been some Pinotage wines that evidenced a nasty, burnt rubber aroma and taste, but that has largely vanished. Today's Pinotage wines have never been better, offering intriguing and compelling flavors and aromas. I have long been a fan of this grape and strongly recommend that all wine lovers check out these wines. Forget your old prejudices and give Pinotage another chance. For more information about Pinotage, you might want to start with a fascinating book devoted to this grape, Pinotage: Behind The Legends Of South Africa's Own Wine by Peter May, which is now available as an ebook too. I previously reviewed this book and urge all wine lovers to check it out. Peter tells a compelling story and you will learn much. I recently tasted two delicious Pinotage wines, including a Rosé, and both of these wines should convince skeptics of the wonders of this grape. "Pinotage is the juice extracted from women's tongues and lions' hearts. After having a sufficient quantity one can talk forever and fight the devil." --On a sign in the tasting room of the Kanonkop winery in South Africa. The Kanonkop Wine Estate is one of the top wineries in South Africa and they produce some of the best Pinotage in the world. Located on the lower slopes of the Simonsberg Mountain in the Stellenbosch region, Kanonkop is a fourth generation family estate. The estate has about 100 hectares of vineyards, roughly 50% planted with Pinotage. Their Pinotage wines are complex, elegant and absolutely satisfying. Only recently though did I taste their Rosé, the 2011 Kanonkop Kadette Pinotage Rosé ($12), which is made from 100% Pinotage. If you tasted this blind, you never would realize that it was Pinotage as it doesn't fit any stereotype of a typical Pinotage profile. There were no smoky or bacon flavors. Instead, it was an easy drinking Rosé with tasty red fruit flavors, including raspberry and cherry. Excellent acidity, plenty of character, and a pleasant finish. It was more Old World in nature and I couldn't drink enough of it. It is an excellent food wine, as well as enjoyable on its own. Highly recommended and a very good value. The 2009 Lion's Drift Pinotage ($18), from the Silkbush Mountain Vineyards, is another wine that is likely to surprise Pinotage haters. I received this wine as a media sample and it presents more of a New World flavor profile. Silkbush Mountain Vineyards are located in the Breede River Valley and this is their first wine available in the U.S. The estate was purchased in 2000 by Californian Dave Jefferson and a group of American investors though it is managed by Anton Roos, a South African viticulturist. For more info on this winery, check out an informative article written by Peter May. The first vintage of Lion's Drift was 2008, so this wine was only the second vintage. The 2009 Lion's Drift spent about 13 months in new French oak and has an alcohol content of 14.5%. This is a more fruit forward Pinotage, lush flavors of plum, black cherry and blackberry with a hint of vanilla and touch of spice. It is easy drinking with a good acidity and satisfying finish. It is very pleasant on its own, though would also pair well with foods such as burgers or pizza. This Pinotage is going to please many wine lovers and I give it my strong recommendation. Stop hating Pinotage! Forget your preconceptions and just start tasting them again. I know you will be surprised at how good they taste. No one denies the exquisite flavor of Bluefin tuna sushi, from simply maguro to the fatty otoro. Though it is not a traditional type of sushi in Japan, it has become almost an obsession in that country and it is estimated that Japan consumes as much as 80% of the world's supply of Bluefin tuna. The problem though is that stocks of Bluefin tuna have decreased significantly in recent years and many consider it to be in grave danger of extinction. Can the Bluefin tuna be saved? It is possible and recent news articles are reporting a surprising recovery of stocks yet what is the truth behind the sensational headlines? On this past November 19, the 48 Contracting Parties of the International Commission for the Conservation of Atlantic Tunas (ICCAT), following advice of their Scientific Committee, agreed on increasing the Bluefin tuna fishing quotas from 12,900 tons to 13,500 tons in 2013. This is the first quota expansion in ten years, reflecting a belief that stocks have begun recovery, yet small enough to show that recovery still has quite a ways to go. Spain was one of the countries significantly pushing for a much larger quota. In comparison, quotas back in 2006 had been as high as 32,000 tons so even the increased quota is less than half what it was back then. This new quota will remain in effect for one year and then will be reviewed again in 2014. The Scientific Committee though has made the recommendation that the quota be maintained through 2022. It is evident the committee still sees the Bluefin tuna population as being in grave danger. It has since been estimated that Bluefin stocks dropped as much as 60% between 1997 and 2007 because of lax quotas and overfishing, often illegal. With the greatly decreased quotas, and lower availability, the price of Bluefin rose to record levels and the minor increase in quotas for 2013 is not expected to lower prices to any significant degree. The quota increase was due to a recent Stock Assessment by the Scientific Committee which indicated a strong possibility that Bluefin stocks have seen a population increase. However, that good news is tempered by the fact that the conclusions are tentative as there are still many unknown factors. The pace and extent of the recovery is still unknown, and the underlying data is incomplete due to a lack of full information regarding illegal fishing. The scientists voiced a conclusion that any efforts and changes based on their report be very conservative, to ensure recovery continues and there is not a setback. Consumers and others must be aware that any Bluefin recovery is tentative and that strong measures to protect the tuna are still warranted. Some news articles may trumpet the recovery without noting the tentativeness of the report's conclusions. There are still too many unknowns to be absolutely positive of the conclusions. Much more study and research is needed to properly assess and protect the Bluefin. Investment of time and money into this issue is vital. Some environmentalist groups, such as the World Wildlife Fund, have been supportive of the ICCAT vote, noting that ICCAT's decision was based on scientific evidence. Yet other criticisms of ICCAT remain. For one, it is claimed that ICCAT has not done enough to prevent illegal, unregulated and unreported Bluefin tuna fishing. A recent study commissioned by the World Wildlife Fund uncovered some disturbing information, indicating a lack of action on behalf of ICCAT to address a substantial problem. Between 2000 and 2010, nearly 19,000 tons of Bluefin tuna were traded through Panama, though none of that tuna was reported as caught to ICCAT. This trade involved countries including Spain, Italy, Morocco, Tunisia, Turkey and Japan. The Mediterranean countries would capture the tuna and send it to Panama, or Panama owned vessels, which would then send the tuna to Japan. All of these countries were members of ICCAT during this time period and were required to report all Bluefin tuna they caught yet they did not report any of this Panama trade. The trade peaked around 2007 but still was going on at least as late as 2010. Now that the evidence has been collected, the WWF wants ICCAT to act on this information. It is such illegal and/or unreported stocks which are contributing to the depletion of Bluefin. A quota is only effective it is is followed. If countries continue to ignore the quota, then Bluefin won't recover. The ICCAT has taken an important first step with quotas, but it must continue its efforts and take the next step, to ensure compliance on reporting and helping to thwart illegal fishing. Today, many of us will gather together with family and friends, enjoying food and drink, conversing, watching television, and savoring the good things in our lives. 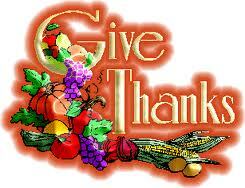 It is also a time for reflection, to think not about what we do not possess, but to be thankful for all that we do. For no matter what our troubles or adversities might be, I am sure there is also much to bring us joy. Financially, I am sure many of us still have it tough, as unemployment remains quite high, health insurance costs continue to rise, food prices have been soaring, and we all have been cutting back. Others may have sustained serious illness or tragedies this past year. Many of us may desire change, that our lives would be better than they are now. However, if we objectively view our situations, we will find that we have it much better than many other people. By looking deeper at our situations, we will quickly discover the many good things we possess in our lives, such as supportive loved ones. Our focus today, and actually what it should be every day, should be on the positive aspects of our lives. Savoring the positive in our lives can brighten the darker parts of our lives, and place everything in perspective. Complaining and criticizing often accomplish little and instead we should concentrate on solutions. We can make our lives better if we truly desire to do so. It may take time and effort, but we can accomplish much with a positive mindset. Despite the divisiveness and hate showed during the recent Presidential campaign season, we still live in a great country and for that I am thankful. It still is a land of opportunity for so many. It definitely is not perfect, but I would not want to live anywhere else. I am also very thankful for many other things in my life, including family, friends, health, and much more. It would take too long to list every single thing here, but I will take the time to reflect upon them today. I am going to enjoy plenty of tasty food and drink today, but I will remember that today is about more than the feasting. It is primarily a time for thanks, for all the good that is in our lives, and for being with the people we care about. Welcome to a special Wednesday edition of Sips & Nibbles, my regular column where I briefly highlight some interesting wine and food items that I have encountered recently. As Thanksgiving is tomorrow, I decided to post Sips & Nibbles a day earlier. 1) The ancient Mayans were master astrologers and timekeepers, tracking the stars and planets and developing a cyclical calendar that has proven even more accurate than its modern day predecessors. Thousands of years ago the Mayan’s predicted that the 5,125-year “Great Period” would end specifically on Friday, December 21st, 2012 at 11:11PM and the world as we know it would cease to exist. In preparation, Olé Mexican Grill, located in an extremely thick walled building in Cambridge, will usher in the event with their “Doomsday Dinner & Candle Vigil” on Friday, December 21, from 5:30PM – 11:11PM (Extended Hours). In addition, and for those of us left, Olé will also hold a very special “Survivalists Brunch” on Saturday, December 22 from 10:30AM to 2:30PM. --Montezuma’s Last Meal – An 18oz Ribeye Steak stuffed with caramelized garlic and jalapeños. Served with three cheese mashed potatoes and spicy fried onion rings ($32). Guests can pair their dinner with such libations as: Maya’s Offering Margarita – a Blood orange frozen margarita with rimmed spicy salt ($8), or they can try the “Triple Threat” - a flight of three artisanal Mezcals for ($11). Guests should spend, eat and drink like it is the end of the world (because it is)! All above will be served as al a carte specials in addition to the regular menu. Reservations are highly recommended by calling (617) 492-4495. Survivalists Brunch: For those still around the following morning, let’s face it …they’re going to be hungry and need a drink. Celebrate the start of a new era in time with dishes such as: Tortilla de Jaiba con Huervos, crab cakes with poached eggs cilantro hollandaise sauce, caramelized plantains and home fries ($12.95), Huevos con Chorizo, scrambled eggs with Mexican sausage, onions and tomatoes on corn tortillas with pinto beans, home fries and toast ($9) and Mexican Hot Cakes, a baked pancake topped with caramel sauce, fresh seasonal fruit, sugared pecan and fresh whipped cream ($9). Pair it all with a Mexican Bloody Mary (Same as a regular Bloody Mary except you need to show a passport), or discuss your plans for the new rebellion over a fresh squeezed orange juice! 2) This New Year’s Eve, raise a glass to new beginnings with China Blossom Restaurant & Lounge and Lots of Laughs Comedy Lounge, located within China Blossom, in North Andover. On Monday, December 31 from 9:30PM to 1:00AM, give a proper farewell to 2012 with a night of fine dining, live entertainment and laughs. The 2013 countdown begins at 9:30PM, when guests are invited to feast on their favorite China Blossom dishes at an all-you-can-eat premier buffet with live-action cooking and carving stations, create-your-own noodle soups and a diverse selection of sushi. After their last supper of 2012, guests can put on their dancing shoes & show off their signature moves to the beat of DJ Barry Mooney! Then a team of the best comics in Boston will take the stage for an all-star comedy show featuring Sal Votano, Christine Hurley and John David. Guests will toast to the New Year with a complimentary glass of champagne and festive hats & noisemakers. Attendees won’t be starting off the New Year empty handed, as they have a chance to test their luck with raffles, prizes and giveaways all night courtesy of China Blossom and Lots of Laughs. Please call 978-687-1789, or visit http://www.lotsoflaughsnewyearseve.eventbrite.com for more information or to purchase tickets. Tickets are $75 per person and include an all-you-can-eat dinner buffet, comedy show, live entertainment, giveaways and a champagne toast at midnight. 3) When your child is sick, it’s hard to keep up a normal daily routine, and even harder doing so during the holiday season. This is something that executive chef/owner of Tryst, Paul Turano, knows all too well, having spent time with his son at Boston Children’s Hospital’s Hematology, Oncology and Stem Cell Transplant Units over the past few years. Both Turano’s children have a rare auto-immune disease, and when his son was just two months old he had a bone marrow transplant at Boston Children’s Hospital that saved his life. This holiday season, Turano is giving back to the hospital that was there for his family by holding a holiday fundraiser for the Patient and Family Resource Room, a program that helps provide services to over 45 families whose children are being treated at the Boston Children’s Hospital Oncology and Hematology Center. In cooperation with Boston Children’s Hospital, Tryst has set up a branded donation page online and will be encouraging holiday donations for the family resource program from December 1st through December 31. To donate, guests can visit the donation page online, or can donate at the restaurant where a QR code will be set up which, when scanned, will take guests directly to the page where they can make a donation on their mobile devices. In exchange for donating, Tryst will give donors a gift certificate to Tryst (for up to $20) with proof of donation. “I can’t emphasize how much the Patient and Family Resource Room helped my family and I when we were going through this difficult time. It’s because of their team and services that we were able to maintain a sense of normalcy and routine, and I want to be able to give that back to other families that are going through it,” said Chef Turano, Executive Chef/Owner of Tryst. Funded through donations from area businesses and families, the 6th floor Patient and Family Resource Room is staffed by a patient and family educator who can help patients and families learn about their medical treatment. The Patient and Family Resource Room also offers a space for patients and families to relax and connect with others going through a similar experience. Whether the donated money be used for a morning coffee at the local Dunkin Donuts, or towards purchasing a generic American Express donation that can be used towards gas, or parking (daily routines that are often overlooked), each donation will help parents regain a sense of normalcy in their lives. With the extra help of these funds, Tryst will be putting the holidays back in the hands of these families. HOW: Donate on http://howtohelp.childrenshospital.org/events/page/Paul-Turano/tystsholidayfundraiser.htm or visit Tryst and scan the QR code (displayed throughout the restaurant). After donation, present your receipt at Tryst to receive your gift certificate (of equal value, up to a $20 value). ADDITIONAL: Limited to one Tryst gift certificate per person per visit. Gift certificates cannot be combined with any other offer. To receive gift certificate diners must visit Tryst. Cannot be done online. 4) It’s time for The Beehive’s Holiday Brunch on Saturday, December 15, from 10am-3pm. Guests can count on tasty food and drink including specials from sponsor Bulleit Rye, seasonal music from some of Boston’s best, and plenty of holiday cheer. From 10:30am-2:30pm, The Beehive will be filled with the sounds of the season as local musicians, Patrice Williamson, Sandi Hammond and Emily Broder, take the stage to perform holiday classics. Williamson, known for her soulful, gospel-inspired jazz, and a regular at The Beehive, will be joined by Sandi Hammond whose piano and guitar playing pop-folk blend will add wonderful sensitivity to the performance while Emily Broder, a versatile singer and actress, will bring the group full circle with her dramatic flair. Couple all this merry music with brunch items like Extra Thick French Toast served with Chantilly cream and real deal maple syrup ($13), or the Beehive Eggs Benedict served with Virginia ham ($13.5) or smoked salmon ($14). Don’t forget about the kids! The Beehive’s “Little Bee’s” menu is perfect for little ones buzzing about. Children can choose from items such as Kiddie French Toast ($5), Scrambled Eggs & Toast ($5), or Free Range Chicken Fingers and Frites ($6). Guests can toast the holiday season by sipping on cocktails from sponsor Bulleit Rye including the El Chicano, made with Bulleit Rye, Kahlua, Coffee Bitters and a Dash of Illegal Mezcal Joven, $12.50, or The Beehive’s famous Bloody Mary made with a secret house spice and pickled veggies, $11. Or, opt for seasonal sips such as the Cranberry Mojito, made in-house with drunken cranberries (marinated in rum and Cointreau) $12.50, the Kentucky Orchard, butter infused bourbon, fresh apple cider and St. Elizabeth Allspice Dram, $12, or the Queen Bee, vodka, fresh grapefruit, St. Germaine and champagne, $12.50. Reservations are highly recommended. Regular brunch pricing and specials offered. No cover charge. Please call 617-423-0069 to make reservations. 5) Starting November 30, 80 Thoreau, located in Concord, will begin The Chef's Tasting Menu. Chef Carolyn Johnson and her team will prepare a one of a kind Five Course Tasting menu at the restaurant's Chef's Counter, which only has four seats! The Chef's Tasting Menu will be offered Thursday-Saturday, two seatings, at 6pm and 8:45pm. The format will allow Johnson to feature luxury ingredients and those available in only small quantities (think heritage pig lardo or Concord maitakes), in her ever changing Chef's Tasting Menu. "This is the natural next step for our restaurant" shares Johnson. "We are excited because it gives us an outlet to do things beyond the menu. When I find amazing local product, but it's not in enough quantity to include on our daily menu, I can now showcase it here on our Chef's Tasting Menu." Wine pairings from the restaurant's cellar will give guests a chance to try selections otherwise not available by the glass. The cost for this dinner is $75 per person, not including wine pairings, and Reservations are required by calling 978-318-0008. Last week, I posted about a contest to win a pair of tickets to the Boston Wine Expo Sunday Grand Tasting event. To enter, you only had to leave a comment on my post and two lucky winners, drawn at random, would each receive a pair of tickets. There were 29 commenters, all desirous of winning, but unfortunately only two of them can win. Thanks to everyone who entered! The first winner is...Rachel Halko. Congratulations to the winners and please email your contact information to me so that I can send you the tickets. If for any reason, the winners are unable to accept the tickets, I will draw a new name to win. I'll be at the Expo so hopefully I will see some of you there! 1) Join me on Monday, December 3 at 6:30pm, for a tasty and interesting Sake Dinner at AKA Bistro in Lincoln. For only $55 per person, you will be treated to a four course meal, each course paired with a different Sake. During the course of the dinner, I will talk about Sake, from its history to its rituals, giving you a basic foundation in this intriguing beverage. I'll help demystify this exotic alcohol and hopefully entice you to seek our more Sake after this dinner. This is the second time I have done a Sake event at AKA Bistro and the first one went very well, with many happy attendees. As space is limited, reservations are necessary so please call the restaurant at 781-259-9925 to secure a spot. Hope to see you there! 2) Just another reminder that I also am presiding at another Sake Dinner on Wednesday, November 28, at 6:30pm at China Blossom in North Andover. You will get 3 courses of food and 4 different Sakes for only $40 per person. Plus, I will talk about many different facets of Sake, from its legends to etiquette. Check out my previous post for all the details. Hope to see you there too! 3) As I previously mentioned, my new novel, Demons, Gods & Sake is now available as a Trade Paperback through Amazon. The Trade Paperback is 252 pages long and sells for $14.95. 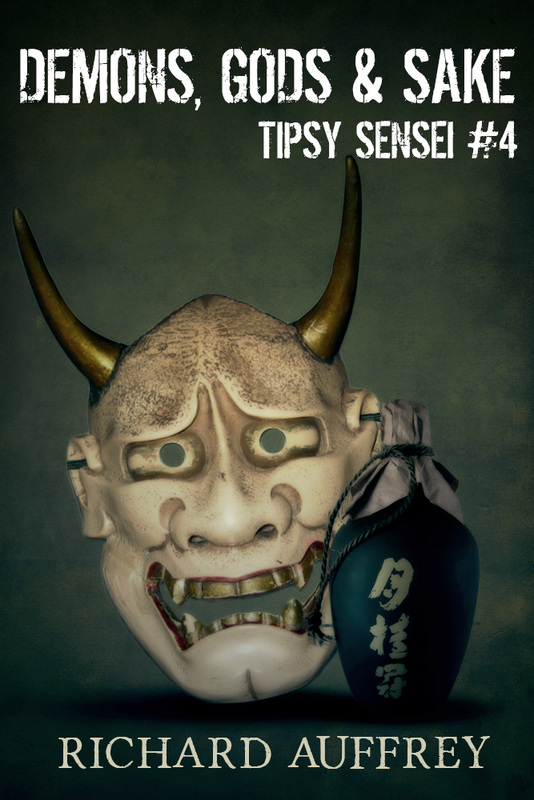 This novel is the fourth installment of the Tipsy Sensei series, the adventures of Nate Randall, a Sake Expert from Boston. The novel is also available as an Ebook and the prior three Tipsy Sensei short stories are available as Ebooks too. Demons, Gods and Sake can now be found at its first bookstore, The Book Oasis in Stoneham. I am hoping to make it available in a few other local and independent book stores in the near future. Plus, I hope to do some local book signings. If any restaurants, book stores or other businesses would like to stock my new novel and/or do a book signing, please contact me. 4) There is a new kura, a Sake brewery, in Maine! I don't have much information about the Blue Current Brewery and their website and Facebook page also lack detail, but I am attempting to gather more information. When I learn more, I will be sure to share it with my readers. The cold winters in Maine probably are excellent for Sake brewing, so there is some potential there. I am also checking out another possible Sake brewery in Massachusetts! Fooled By A Blind Tasting? "If you want to enjoy wine more, the trick is to learn more about wine." Does more knowledge about wine enhance the pleasure you derive from it? On the other hand, can you truly enjoy a wine you know almost nothing about? The "pleasure theory" of Paul Bloom, author of How Pleasure Works: The New Science of Why We Like What We Like, is based on a number of studies of which many of us may already be familiar. We have heard of how wine lovers have been fooled into raving about a $90 bottle of wine, which actually turns out to be a $10 bottle. The alleged price of the wine affected their perception of the wine. We have heard of blind taste test studies where people preferred much cheaper wines rather than far more expensive ones. Paul Bloom has gathered together many of these studies and assembled his theory of the essentialist, arguing that everyone is an essentialist at heart. An essentialist cares about the history and origins of an item, and that plays a significant part in their pleasure of that item. It applies to many different items, as well as our relationships with other people. For example, it applies to wine, with people gaining much more pleasure from their knowledge of the origins of a wine. It is partially why people seem to enjoy a more expensive wine, or one from a celebrated producer or region. In some respects, people enjoy a wine more when it possesses a great story. Yet this is a double edged sword as well and we can be deceived. Bloom has stated, "Like I said, part of your response to wine is based on its chemical properties But how you experience it will always be affected by your beliefs about what you are drinking. Now this opens you up to being fooled. Given that we’re creatures who respond to the history of things, we can be exploited. You could be lied to about the price of wine, you could be lied to about where your sweater came from, you could be lied to about whether your painting is an original or a forgery, and so on. This is the bad news." Adam of Wine Zag decided to put Bloom's theory to the test with a blind tasting which would compare seven pairs of wine. He pitted seven wines from 90+ Cellars against seven others that he chose, trying to roughly match up the type and price of the wines. He was certainly not going for a scientific test, but more of a fun comparison which might provide some basic insight into Bloom's pleasure theory. 90+ Cellars purchases excess wine from wineries all over the world and rebottles it under their own label, selling it for less than its original purchase price. They do not reveal the true name of the producers, though they provide other information about the wine, including the wine region, grapes, vintage and a few other details. A consumer thus will find much information about the wine, though certain items will elude them. So you get part of a story but not the whole one. The question becomes, does that lack of the identity of the producer detract from the pleasurable experience of the wine? Adam had never previously purchased any wines from 90+ Cellars because he didn't know the name of the producers. That information was very important to him. He wanted to see how the 90+ Cellar wines would stand up to a group of known wines in a blind tasting. About twenty of us attended the tasting at the Boston Wine School, with eighteen people voting for their favorite wines in the pairings. According to Bloom's theory, if it were not a blind tasting, then the 90+ Cellars wines should have shown poorly against the wines from known producers. The added information about the producers should have enhanced our pleasure of those wines. In a blind tasting though, Bloom's theory should lead to a different result, where the 90+ Cellar wines would hold their own against all comers. In the end, the results were very close between the 90+ Cellars and the known wines, and I think it is safe to say that the 90+ Cellar wines held their own. The known wines won in 4 of the 7 pairings, though the voting was generally close. Personally, I selected the 90+ Cellar wines in 4 of the 7 matches. The big surprise for all was that the top wine of the evening, voted by 15 of the 18 tasters (including myself), was from 90+ Cellars, the 2009 Rosso Maremma Toscana Lot 70 ($26). This was the only overwhelming vote of the evening so that is a wine you might want to seek out. The second place wine, with 3 votes, was the 2008 Sean Thackrey Andromeda Pinot Noir, another excellent wine. Our blind tasting essentially met the expectations of Bloom's theory, that without the information about wine we normally seek out, 90+ Cellars showed well against the other wines. They are wines you may very well enjoy, if you give them a chance. Even after the results of this blind taste test though, I am not sure all of the attendees at the tasting would purchase a 90+ Cellars wine. It may be difficult for some to overcome their perception that knowing the producer provides additional pleasure from the wine even if in a blind taste test, they could not perceive a difference. I don't have a problem purchasing 90+ Cellars wines, probably because I have tasted a fair amount of them and found that many are very good value wines. Though I enjoy wines with a good story, I don't like the 90+ Cellar wines any less because I don't know the true producer. Adam, who has never before purchased a 90+ Cellars wine, stated that he would definitely be purchasing the 2009 Rosso Maremma Toscana Lot 70. So this blind tasting changed his mind in some respect. Though I may find some credence in Bloom's theory of the essentialist, I think that people are not essentialists in all their purchasing decisions. I think it might depend more on the specific items in question, and how much that person values those items. For example, at the wine store where I work, we get a diverse mix of customers. Many of them care very little about the origins and history of the wines they purchase. First and foremost for them is price, and then second it all has to do with taste. The 90+ Cellar wines sell very well at our store and I think primarily because they offer a good value, even if their story is not complete. It might be more dedicated wine lovers who have more difficulty accepting 90+ Cellar wines because they lack the identity of the producer. It is they who are more likely to be more passionate about the story of a wine. It may be their perception that the more they know about a wine, the more likely they are to enjoy it. However, in a blind tasting, their preferences might be very different. Bloom's theory has other applications to wine as well, such as in the arena of wine reviews. If a person reviews a wine, possessed of a certain amount of information about that wine, and someone else tastes that same wine, but lacks that same information, will they like the wine less? Would you rather trust a review where the reviewer knows all about the wine, or would you prefer the reviewer tasted blind? If you read a review, do you want to know the knowledge level of the reviewer to ascertain how that might have affected their review? To sum it up, one could say: Pleasure Is In The Mind Of The Beholder. Previously, New York City banned "sugar-sweetened" drinks, mainly soda, in cups larger than 16 ounces though it did not apply to drinks containing alcohol. The idea behind the ban was to help fight obesity. Then a government study determined that alcohol consumption actually contributes nearly as many empty calories as soda. In response, Mayor Bloomberg pushed though a ban on cups of beer and other alcohol larger than 16 ounces. Where will those bans end? The soda ban is real and something which I oppose. I don't think it will really accomplish anything and it seems to be the low hanging fruit in the battle against obesity. There are ways to bypass the ban, such as all-you-can drink soda machines, which help to blunt any effect of the ban. It doesn't stop people from buying huge soda bottles at the supermarket and guzzling them at home. What is worrisome is that this could be the first step in a series of bans of other foods and drinks. The government study on alcohol consumption is also real. The Las Vegas Sun reported that soda and other sweetened drinks account for 6% of an average person's calories, while alcohol accounts for about 5%. Not much difference there. The issue is divided by gender, with men usually consuming an average of about 150 calories from alcohol each day, while women only consume an average of 50 calories. Men also drink mostly beer while women have no clear favorite alcohol of choice. All those calories certainly add up over the span of a year. A ban on large cups of alcohol could become a target of the near future. Though the city claims it has no immediate plans to ban it, there is at least one public health advocacy group which supports such an alcohol ban. They could push for such a ban, and maybe New York City would change their mind and institute such a ban. How many other cities might follow the example of New York City? Let people eat and drink what they want. Stop these bans on items like foie gras and soda. Such bans seem more for public show than actually accomplishing anything of significant value. People can always find ways around such bans. The time spent on working on these bans could be better spent in many other areas, like trying to create jobs. Educate people about the potential dangers of items like sweetened drinks, but allow them the right to make their own choices. 1) The City of Boston and Boston Common welcome Earl of Sandwich, created by the direct descendant of John Montagu, the Earl who invented the sandwich in 1762. Earl of Sandwich had a grand opening earlier this week on November 12. In 1762, John Montagu, the 4th Earl of Sandwich, came up with the ingenious idea of putting meat between two slices of bread. Now, 250 years later, the current 11th Earl and the rest of the Sandwich family remain passionate about the world’s most popular quick food that carries their name. Joining forces with entrepreneur Robert Earl, the first Earl of Sandwich restaurant opened in Orlando, FL at Downtown Disney in 2004. All Earl of Sandwich locations bake fresh artisan bread with every hot sandwich order and meats are roasted daily using traditional family recipes. The new location will feature signature hot sandwiches including The Original 1762, a sandwich of freshly roasted beef, sharp cheddar and creamy horseradish sauce all on freshly baked artisan bread. Earl of Sandwich will also serve a line of wraps, fresh, hand-tossed salads, high-quality soups, a kid’s menu, and other side items. The restaurant will feature fresh, premise-baked treats – cookies, brownies, muffins, and bites, and Earl of Sandwich will offer a full array of cold beverages, including the delicious Earl’s Lemonade. Beginning spring 2013, Earl of Sandwich’s breakfast menu, serving a choice of five made-to-order hot breakfast sandwiches, will be available from 8:30 a.m. to 11 a.m. Monday to Friday and 10 a.m. to 11:30 a.m. on Saturday and Sunday. The restaurant will immediately offer take-away service. 2) Owner & Chef Brian Poe is bringing his fall bounty to The Tip Tap Room in Beacon Hill. Poe’s new autumnal infusions take his signature “tips” and “taps” concept to new seasonal heights. For appetizers, Poe will now offer the following: Baked Brie (St. André brie, coriander-citrus roasted beets, warm mushroom vinaigrette - $11.75); Wild Mushrooms (sautéed with soy-chive vinaigrette, charred tomato tips - $9.75); Boar Meatballs (spicy ginger-cilantro-garlic broth - $13.95); and, a Mashed Sampler (a shareable tasting of horseradish, goat cheese, creamed corn, olive tapenade mashed potatoes - $5). These will add to Poe’s starter mainstays including the Rock Shrimp ($11.75), Potato with 7 Bacon Tips ($10.95) and Cheese & Cracklins ($10.75). Chef Poe also is now offering an Autumn Salad (maple-roasted pecans, roasted pumpkin, blue cheese crumbles, cranberry-sage vinaigrette - $9.95) and Grilled Baby Bok Choy (sauté of snap peas, Thai chilies, caramelized shiitakes, grilled tofu, sesame-soy vinaigrette - $10.95) in addition to the Romaine ($9.95) and Endive, Radicchio & Arugula ($9.95) salads. All salads come with option to add the “tips” of your choice ($6.50; swordfish –$7.50; wild game – $10). The Tip Tap Room’s “tips” selections features five refreshed proteins and a vegetarian option. In adding to serving up daily wild game creations (including elk, kangaroo, yak, ostrich, pheasant and venison), Poe’s standard “tips” include the following: Turkey (sage-peppercorn marinade, cranberry fennel slaw, creamed corn potatoes - $11.95); Steak (house marinade, horseradish potatoes, cherry pepper, bordelaise - $14.75); Lamb (mint-shallot marinade, minted lamb glaze, goat cheese potatoes, watercress, tzatziki - $15.95); Chicken (lemon-lime-yuzu-herb marinade, rice, cucumber corn slaw - $12.95); Swordfish (artichoke, olive tomato, bell pepper-parsley salsa, tapenade potatoes, haricots verts, citrus-herb cream - $16.95); and, Tofu (grilled vegetables, tomato-basil salad, avocado, spinach - $12.75). Poe also griddles up three burgers available in Steak, Lamb and Turkey preparations. For some seasonal “taps,” The Tip Tap Room’s kegs are brimming with selections like Harpoon Cider, Ipswich Oatmeal Stout and Sam Adams Octoberfest. Poe is also sure to bring in a rotating selection of seasonal specialty brews that rotate regularly from local breweries. 3) The Mandarin Oriental has recently launched The Parlor, a pop-up afternoon tea lounge. Located fireside in the Lobby Lounge, The Parlor will feature daily visits from the Holiday Treat Trolley, adorned with gingerbread man decoration kits for children, tea sandwiches, sweet confections, old-fashioned hot cocoa from Pastry Chef Oralia Perez, warm apple cider and signature hot toddies. The Parlor will be open from 2pm-6pm daily throughout the holiday season. 4) For the third consecutive year, hundreds of residents of Concord will line Walden Street here to welcome the Largest Wheel of Italian Cheese in the Western Hemisphere. A 400 lb. Crucolo cheese, from a tiny hamlet in the Trentino region of northern Italy, is expected to be at The Cheese Shop of Concord at 29 Walden Street, at 3:30pm on Thursday, December 6. Crucolo is a mild, rindless cow's milk cheese and I find it to be quite a delicious cheese. and generous free samples of canederli, an authentic northern Italian recipe made with crucolo. Canederli are bread dumplings which often accompany meat stews and roasts. The word 'canederli', in fact, derives from the German or Austrian 'knödel.' Canederli are 'cucina povera' (cuisine of the poor), as they are made of inexpensive ingredients: stale bread moistened with milk and bound with eggs and a small amount of flour. However, the mixture is often enriched with cheese and speck or prosciutto. There are several variations of this regional dish, but the most common is with cheese. Once the dumpling are cooked, theyre either served "dry" with butter, or in a bowl of broth. A proclamation will be presented, officially naming it Crucolo Day in The Commonwealth of Massachusetts. The public is invited to attend Crucolo Day and the event will occur rain or shine. You will also be able to have photos taken with the cheese. The crucolo sells for $19.99/lb and last year sold out in less than 14 days. 5) Piperi (pronounced pip-AIR-ee) is the Greek word for peppercorns, but it's also a new, Mediterranean-inspired, fresh food concept from chef/co-owner Thomas John (former executive chef of Au Bon Pain and Mantra) opening Monday, December 3, on street level at One Beacon Street, in Government Center. Piperi's unique flatbread sandwiches, bountiful salads and mezze plates -- each bursting with nutrition and flavor -- will be made to order, served fast to take out or eat in. You will find Piperi's find affordable choices listed on on a blackboard menu. First, choose from an array of grilled meats, vegetables or falafel. Next, choose one of several Mediterranean toppings and sauces. Ingredients are then heaped atop one's choice of signature Gozi flatbread or crisp greens, or served as a mezze plate with rice pilaf. Gozi, baked hourly on the premises, is a modern interpretation of gozleme, a traditional hand-rolled pastry from Turkey. The baking process creates circles in the dough that resemble eyes, or "göz" in Turkish. Gozi is similar to pita, but thinner and bolder flavored. Piperi is committed to making socially responsible purchasing decisions; its produce is sourced from local grows whenever possible. They use only fresh, carefully chosen and complementary ingredients and spices. Antibiotic-free and humanely-raised chicken and sirloin, never frozen, will be marinated and grilled in small batches to retain their tenderness. Vegetables are roasted a la minute, to preserve color and flavor. Sauces and dressings will be made from scratch on the premises. Cooking is done with virgin olive oil, and with fresh herbs and spices. Prices generally range from $6.50-$8.00, and they also serve breakfast sandwiches, priced $4.00-$4.50. 6) Chef Deborah Hansen of Taberna de Haro in Brookline has recently expanded her restaurant. I was there recently and the additional space is very cool with a nice bar. The restaurant now stocks even more Spanish wines, over 300, and has expanded their Sherry list to 27, with more to be added. That means they probably have the largest Sherry selection of any other local restaurant. Big kudos to Chef Hansen for her Sherry passion and promotion. In addition, Taberna de Haro now offers a special Roasted Suckling Pig dinner on Tuesdays. They obtain the pigs, a Yorkshire-Hampshire cross breed, from a co-operative farm in upstate New York. The pigs weigh only about 16 lbs. and the roasting process takes over 4 hours, creating a crackling crispy skin. The dish costs only $25 per person and comes with potatoes and carrots roasted in the pan drippings. As there are only about 16 portions per pig, you should get there early to ensure you get a portion. If you have ever had roasted suckling pig in Spain, you know how delicious that dish can be. I will visit Taberna de Haro soon to check out this dish. 7) On December 11, at 6:30pm, Legal Sea Foods will prepare to welcome the New Year with their final Legal Holiday of the season: Goodbye 2012, Hello 2013. Legal Sea Foods will dish and pour a three-course pairing menu filled with holiday cheer in Park Square’s 10,000 bottle wine cellar. The Boston Wine Expo will be held in three months, February 16-17, 2013, but it isn't too early to start making plans to attend. The Expo will showcase approximately 200 wineries, from more than 15 countries, so there probably will be over 1000 wines for you to taste. This is a huge wine event, presenting an opportunity for you to taste a diverse selection of wines and hopefully to find some new favorites. I am giving away two pairs of tickets to the Sunday Grand Tasting (each pair valued at $150-$170). All you have to do for a chance to win is leave a comment on this post by November 19 at midnight. I will then randomly select two entrants to each win a pair of tickets. Very simple. In addition, I want to offer some advice and suggestions for everyone who may be attending the Boston Wine Expo as it can seem overwhelming. People go to the Expo for a number of different reasons. Though many don't like to discuss it, there is a contingent that goes just to get drunk. I don't advise to do this. There is another contingent that treats this as a social occasion, that gets dressed up and enjoys meeting others who also enjoy wine. Some of my advice and suggestions below will apply to those attendees too. The primary target of my advice and suggestions are those people who are going to explore the myriad wines that are available, who have a desire to learn and discover new wines. Like many endeavors, the key is in your preparation. Don't just show up and drink, especially if you want to learn anything. 1) Make a plan of which wine regions and/or specific wineries you want to visit. The Expo website lists many of the participating wineries, and usually posts a map of the Expo hall. You cannot taste every wine, or probably even 10% of those wines, at the Expo. So you need to be very selective as to what you taste. If you don't go with a plan, you may waste time wandering around the hall, and might even miss a winery that you really wanted to check out. With a plan, you can best take advantage of your limited time. 2) Why drink wines you already know and like? You can probably do that anytime and anywhere else. Instead, take this opportunity to expand your palate and try different wines, hoping to find new wines to enjoy. Never had Portuguese wines? Then make an effort to venture to their tables and try some of their wines, from Vinho Verde to Altejano reds. With all the diversity of wines available, it makes little sense to spend your time drinking the same wines you drink at home all the time. Be willing to experiment and taste something different. 3) To avoid the greatest crowds, go on Sunday rather than Saturday. Saturday in the Grand Tasting can be madness with the huge hordes of attendees. Sunday though does not attract the same hordes. It will still be crowded, but is more manageable. 4) Dress comfortably, noting that there is always the potential you might spill wine on your clothes. So leave those white shirts and blouses home. Wear comfortable shoes as you will be on your feet for several hours, walking around the Expo hall. 8) You might want to leave your coat at home or in your vehicle. It gets warm in the Expo hall and wearing or carrying your coat can be a pain. You can check your coat at the Expo but when the Expo ends, there is often a long line to retrieve coats. To avoid that line, try not to bring a coat if possible. 12) If you find a new wine you enjoy, how will you remember it? You should take notes, writing down the name of the wine, or use your smart phone to take a picture of the wine bottle label. Nothing is worse than tasting a great wine but later forgetting its name. You will taste plenty of wines at the Expo so the only way to ensure you remember which ones you enjoyed are to take notes or pictures. 14) Make sure you have fun! There may be a conspiracy at hand, a cabal of evil vegetarians engaged in biological warfare against those who enjoy the taste of meat. If you love sinking your teeth into a juicy steak or thick hamburger, consider the terror you would face if you suddenly found yourself allergic to meat. You could no longer savor a fine pork loin or leg of lamb. The idea sends shivers up my spine, a nightmare that would tear my life apart. And my fear possesses justification. ABC News recently reported on a surge of meat allergies in the central and southern U.S. Galactose-alpha-1,3-galactose (alpha-gal for short) is a sugar carbohydrate found in red meat and people can become allergic to this carbohydrate. Some of the allergies have been relatively mild, only causing hives, while others have been far more serious, leading to anaphylactic shock. Something you love could suddenly turn out to be deadly and you would have to completely stop eating meat, becoming a vegetarian. The horror! The horror! What is causing these meat allergies to affect adults? The primary suspect is the lone star tick, though a direct causal link has not been fully proven yet. Regions that have many of these ticks have seen large increases in meat allergies. It is suspected that the tick's saliva could be somehow triggering these allergies, causing a reaction to alpha-gal. The lone star tick generally inhabits the southeastern and eastern regions of the U.S., so those in the western portion, as well as much of the northern portion, of the country are relatively safe from this tick. The tick can be found in Massachusetts, which is a reason for me to worry. I could deal with Lyme disease but definitely not acquiring a meat allergy. I think it is a plot by a cabal of evil vegetarian scientists who have genetically engineered a meat allergy disease and chose the ticks to be the carrier. They have given up trying to reason with people, trying to convince others of the benefits of vegetarianism. They have taken extreme measures. You can't trust those grass eaters! Ok, maybe there isn't such a plot. But those damn ticks are real and they scare me. 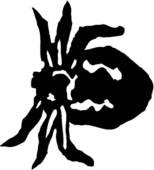 If you love meat, then follow this advice on avoiding ticks from the CDC. I will be following their suggestions. John Gauntner, the famed Sake expert and "Sake Dendoushi" ("Sake Evangelist"), is holding the 10th Annual Sake Professional Course in Japan from January 21-25, 2013. The course runs for five days and finishes with an optional exam, which if you pass will garner you a Certified Sake Professional certification. The course costs approximately $2250, which includes the five days of instruction, materials, all Sake for tasting, four brewery visits, dinners and one shot at the exam. Space is limited so make a reservation soon if you want to guarantee yourself a spot. Gauntner states "The course is geared toward industry professionals wishing to expand their horizons in a thorough manner into the world of sake, and will therefore necessarily be fairly technical in nature, and admittedly somewhat intense. But the course is open to anyone with an interest in sake, and it will certainly be fun! The course lectures and tastings will begin with the utter basics and will thoroughly progress through and cover everything related to sake. There will be an emphasis on empirical experience, with plenty of exposure to a wide range of sake in the tasting sessions..."
For reservations or inquiries, please send an email to John Gauntner at sakeguy@gol.com. I previously attended one of John's classes in San Francisco and you can read my review here. In short, it was a superb class, taught by an excellent instructor and well worth attending if you love Sake. I cannot recommend this class enough. 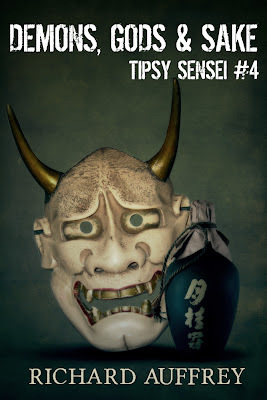 The Tipsy Sensei series continues in a new novel, Demons, Gods & Sake, which is the fourth installment in the adventures of Nate Randall, a Sake Expert from Boston. The novel is now available both as an Ebook as well as a Trade Paperback through Amazon. The Trade Paperback is 252 pages long and sells for $14.95. It will make an excellent holiday gift this season! The stakes for Nate Randall, a Sake expert from Boston, couldn't be higher. Later this month, Demons, Gods & Sake will also be published as a Trade Paperback and I hope to do some local signings. As soon as it is available as a paperback, I will let everyone know. Though I recommend that you read the first three stories in the Tipsy Sensei story before reading this novel, it is not a necessity. It is a self-contained story, describing the main events of the prior three stories. Please also understand that you can read the ebook of this novel even if you do not own a Kindle. You can download a Free App for your computer or smart phone that will allow you to read Kindle ebooks. Sake is an alcohol made from rice that is extremely food friendly, and pairs well with a wide variety of cuisines. While it is popular in many parts of the world, many are unfamiliar with the nuances of the different varieties and drinking traditions. On Wednesday, November 28, 6:30pm-9pm, China Blossom Restaurant & Lounge, located in North Andover, is dedicating a night to educating guests on the wonders of this unique drink with a three-course prix fixe “Sake to Me” dinner. I will guide guests through the meal, discussing the history, culture and production of sake, as they sample Junmai, Junmai Ginjo and Kimoto/Yamahai sakes along with dishes from China Blossom. For $40 per person, guests will enjoy three courses, each paired with a sake, followed by an aperitif of sparkling sake to refresh the palate and end the night on a bubbly note. So please come and join me for this tasty and fun sake dinner. Sake originated in China but it was the Japanese that mastered the brewing of this intriguing drink. It shares similarities with both wine and beer although it is neither, and just as it takes a special grape to make a good wine, the production of premium sake requires a special type of rice that is larger and contains more starch than what is typically eaten. By sharing his wealth of knowledge, Auffrey aims to spread his appreciation for sake by giving tips on tasting, selecting and pairing sake for any occasion and palate. Reservations are required. Please call 978-682-2242 for reservations or visit www.chinablossom.com for more information. Must be 21+ to attend. Cost: $40 per person. Tax and gratuity not included. I am back again with a new edition of Thursday Sips & Nibbles, my regular column where I briefly highlight some interesting wine and food items that I have encountered recently. This week, I am offering a number of Thanksgiving suggestions. Cost: Wine Wednesdays are $55 per person not including tax and gratuity. Reservations are required. To make reservations please call 617-265-4490. 2) Whether you're looking for the perfect gift for the person who has everything, or you want to impress your boss, friends or the in-laws, nothing says "happy holidays" bigger, better and bolder than a bottle of large format wine. Large format wines are classified as anything more than 1.5 liters (the equivalent of two bottles of wine), and are now available in 1.5, 3, 5 and 6 liter bottles at The Wine ConneXtion, located in North Andover. This year, The Wine ConneXtion searched far and wide to acquire the largest selection of large format wines in the state of Massachusetts. Nowhere else can you find such a vast assortment of large format wines under one roof. Offering everything from 1.5, 3, 5 and even 6 liter bottles, The Wine ConneXtion’s collection of large format wines is the Holy Grail for any vino lover. Quantities are extremely limited, so stop by The Wine ConneXtion while supplies last. 3) The culinary team at L’Espalier has been a trailblazer when it comes to their commitment to using local, fresh ingredients from New England. On November 14, at 7pm, they are presenting Mushroom Wednesday with their favorite mycologist, Ben Maleson. Together with L’Espalier’s talented culinary team, Maleson has designed a four-course dinner of all-things mushroom. Matsutales, cepes and many more varieties will take center stage as Maleson to showcases his expert knowledge of fungi. The meal also includes wine pairings for each course, although diners can also opt for juice pairings which are also a great accompaniment to the courses. The four-course prix fixe menu is $115/person. To reserve, please call L’Espalier at 617-262-3023. 4) The Beehive will be hosting its annual Thanksgiving Day dinner, featuring a traditional a la carte Thanksgiving menu, on Thursday, November 22nd, 2012. What’s also become known as “Boston’s Liveliest Holiday Meal,” The Beehive will host exquisite live jazz performances all day long. Reservations are strongly recommended and can be made by calling 617-423-0069. Dessert & Children's Menu Served. Menu Subject to change. When is the last time you ate a sunflower head? I am sure plenty of people may have eaten sunflower seeds, yet that is not the only edible portion of the sunflower plant. In fact, most of the plant is edible and Native Americans have been using sunflowers as food for thousands of years. My first experience eating a sunflower head was at Erbaluce, a creative Italian restaurant which I have long recommended, and it was paired with Sangiovese-based wines. Chef Charles Draghi of Erbaluce recently hosted several wine makers from the Morellino Di Scansano DOCG for a small, informal wine luncheon. This wine region is located in southern Tuscany, in the Maremma, around the village of Scansano. Interestingly, the wine from this area is sometimes known as "wine without history" because their fame has only arisen recently. Morellino Di Scansano became a DOC in 1978 and a DOCG in 2006, starting with the 2007 vintage. However, wine making in this area extends back to the ancient Etruscans and Romans so it actually has a lengthy and intriguing history. Currently, the region of Morellino Di Scansano has approximately 1500 hectares of vineyards with about 120 wineries and 2 cooperatives. Their annual production is approximately 10-11 million bottles, less than 1 million cases. The Consorzia Tutela Vino Morellino Di Scansano, an organization formed to help promote the wines of this area, was founded in 1992 and now has over 200 members, representing about two-thirds of the production of the region. The word "Morellino" is the local name for the "Sangiovese" grape though its origin is a bit murky. Some people believe the term comes from "morello," which is the color "brown", the color of Maremmano horses. Others think it comes from the "Morello" cherry, a prominent flavor found in Sangiovese. According to their regulations, Morellino red wines must contain at least 85% Sangiovese and the other 15% may contain grapes such as Canaiolo, Ciliegiole, Malvasia, Colorino, Alicante, Merlot, Cabernet Sauvignon and Syrah. As both Morellino and Chianti are located in Tuscany, and both use Sangiovese, some comparisons between the two seems natural. We should note that red wines in Chianti must contain at least 80% Sangiovese, a slightly smaller percentage than in Morellino. Though that difference is only 5%, that can have a significant impact on the wines.What is probably a greater difference though is the climate. As Morellino is in the south, its climate tends to be warmer so that the Sangiovese grapes tend to be riper. The effect is that the wines of Morellino can be softer and enjoyed earlier than the wines of Chianti. The wines of Chianti tend to have stronger tannins which benefit from oak aging. Later in this post, I will post my own thoughts on the comparisons of Morellino and Chianti. Morellino wines can be basically separated into three categories. The basic wine is fresh and fruity, seeing no oak, while the intermediate wine sees about 4-12 months of oak aging. The reserva category sees at least a year in oak, and a year in the bottle, and possesses more spice notes. Like most Italian wines, they are made to be paired with food, and like most Tuscan fare, the cuisine of Morellino commonly relies upon excellent ingredients, prepared simply. The dishes for our lunch were creative and compelling, and the wine pairing was interesting, showcasing how red wines can work with a variety of dishes, including seafood and sunflowers! Our first course was a sunflower head, stuffed with ricotta and covered with breadcrumbs. An unusual dish, the sunflower had a slightly chewy texture, with a creaminess from the ricotta and some nutty and herbal flavors. The Morellino wines, with their slightly rustic nature, actually worked with this dish. Who would have thought that sunflowers and Sangiovese would work? For our second coarse, we had local squid with an incredible sauce of roasted lobster with tamale and coral. The slightly charred squid was not rubbery and the savory sauce worked well with the Morellino wines. That sauce would probably be delicious with other seafood dishes too. Next up was my favorite course of the lunch, pappardelle with wild boar, an amazing, hearty dish with perfectly cooked pasta and plenty of tender, savory meat. I could have easily eaten another dish of this pasta and it worked perfectly with the wines. In Morellino, wild boar is a common dish so it makes sense why the wines paired so well. A perfect autumn dish. For dessert, we enjoyed a warm chocolate bread pudding with cherries and spices, topped with some buckwheat honey and opal basil. The fruits, spices and herbal notes complemented those similar flavors in the Morellino wines. During the course of lunch, we sampled seven different wines, from five producers. In general, I enjoyed the wines, finding them mostly to be easy drinking wines with plenty of fruit, mild tannins, and good acidity. Many of the Morellino wines reminded me more of traditional style Chianti Classico wines, a little rustic and restrained, though a couple were more modern in style. I much preferred those that reflected a more traditional style. The 2011 Azienda Bruni Marteto is in the basic category, which also seems to be known as the fresh version, and it is a blend of 85% Sangiovese, 10% Syrah and 5% Alicante. It sees no oak and has an alcohol content of 13.5%. It has delicious black cherry flavors, nice acidity, and is a bit rustic. A pleasant, easy drinking wine. I tasted both the 2010 and 2011 Fattoria Le Pupille, each a blend of 90% Sangiovese and 10% Malvasia Nera. These also see no oak and have an alcohol content of 13.5%. I loved the 2011, finding it fresh, fruity, rustic and with hints of spice. Very easy drinking, nice character and quite delicious. One of my favorite wines of the lunch. The 2010 was a bit more restrained and subtle, though also a pleasant wine. The 2011 La Selva, which is 100% certified organic, is a blend of 90% Sangiovese and 10% Merlot. It is also a fresh style with an alcohol content of 14%. It was very fruity, lots of bright cherry flavors, and very easy drinking though tending a bit more toward a modern style. A simple and pleasant wine. In comparison, the 2010 Tenuta Pietramora Di Collefagiano Brumaio is produced from 100% Sangiovese, sees no oak aging, and only has an alcohol content of 13.5%. It is an elegant and more austere wine, with strong black cherry and earthy notes. A more traditional Sangiovese, I was impressed with its character. An excellent food wine, and it brought back me to Tuscany in my mind. Then, we drank two wines from the same winery, including the 2010 Tenute Coste, which is also produced from 100% Sangiovese, sees no oak aging, and has an alcohol content of 14%. Again, this is a more traditional style with a fine melange of black cherry, spice, and earthiness with a good acidity. The 2009 Tenute Coste Ventaio is a blend of 85% Sangiovese and 15% Cabernet Sauvignon, has an alcohol content of 14% and sees a little oak aging. The Cabernet seemed prominent, and it was more of a modern style with bold red fruit flavors. This exposure to the wines of Morellino Di Scansano was enlightening and has encouraged me to seek out more of their wines. Their entry level wines should please wine lovers, and make for very good food wines. Chef Draghi also created a tasty lunch, and I once again urge my readers to check out his restaurant Erbaluce. In a few more weeks, it will be the Thanksgiving holiday and I am sure many people are already starting to make plans on how to celebrate. You might be trying to select a restaurant, deciding not to cook this year. You might be dining at home and trying to plan a menu of food and drinks for all your guests. You might be dining at the home of family or friends, and have been asked to bring a dish or a bottle of wine. So many decisions so I am here to offer some helpful suggestions that might ease your tension and worries. Sometimes you just want to avoid all the time and effort of cooking a big Thanksgiving dinner, as well as cleaning up the mess afterwards. You might decide to dine out instead and you will find plenty of others opt for that same decision. Plenty of restaurants are offering Thanksgiving specials and you can check out my short list of over 7 Restaurants in the Boston area, including Post 390, Aura, Avila, BOKX 109, Pantry at the Verve, Towne Stove & Spirits, and the various Legal Seafood restaurants. Keep an eye on my upcoming Thursday Sips & Nibbles columns as I may have more restaurant suggestions as well. If you are cooking at home, or need to bring a dish to someone else's home, then let me suggest some relatively easy, but quite delicious, recipes. I have compiled for you a list of five such Easy Thanksgiving Recipes, including Buffalo Chicken Dip, Sangria, Double Corn Pudding, Special Potato Casserole and Swedish Apple Pie. Just about anyone can make these easy recipes, and your family and friends should really enjoy the results. Plus, these recipes aren't just appropriate for Thanksgiving and you can enjoy them at any time. Buffalo Chicken Dip while tailgating? Sangria for your next wine party? Swedish apple pie for Sunday dessert? Choosing wines for Thanksgiving can seem intimidating but it really is not. Please don't worry about what wines to choose. Start by reading some general advice I previously wrote, Thanksgiving: I Want Wines To Make People Smile. I hope that will help decrease your worry over wine selections. There are so many good choices for Thanksgiving wines. If you do though want some more specific wine recommendations, and are willing to think outside the box, then why not consider Sherry or Sake, both which are very food friendly and would pair well with your Thanksgiving feast.